Every once in a while I love to combine my love of jewelry making with my love of paper crafting. I received these fun FotoBella Sailing Charms in my July package. 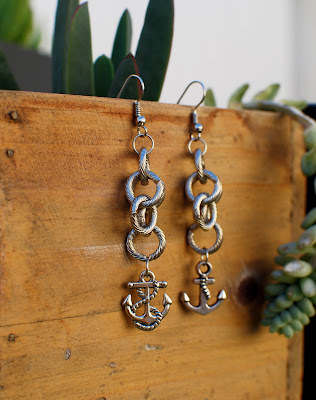 I thought they were perfect for some Summer themed metal earrings. 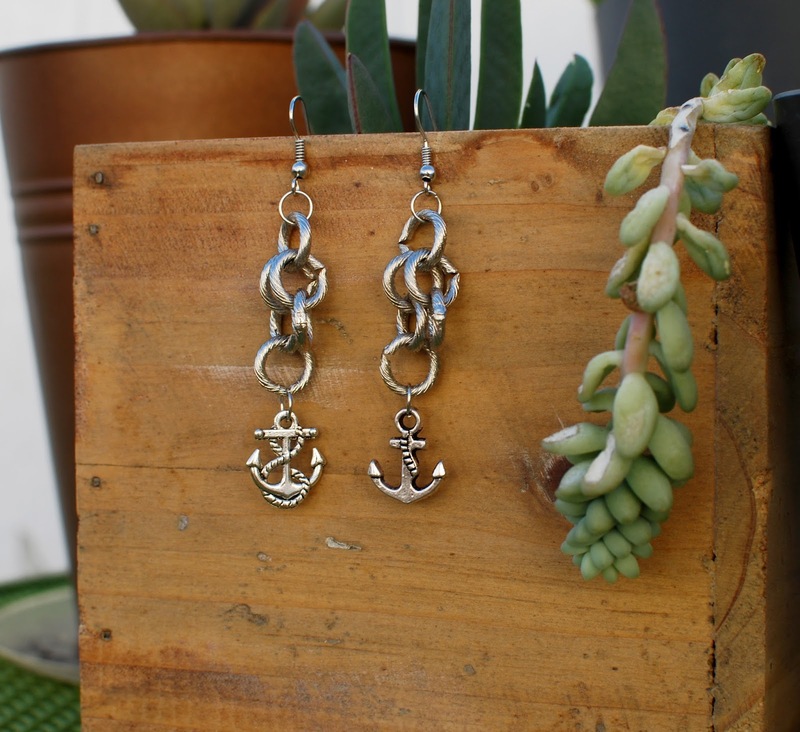 I combined the anchor charms with some textured chain. What will you create with them?